Nov. 28, 2018 -- Think price per pound is the only difference between chicken brands? A recent report from the USDA suggests there’s more to consider than your wallet when making your selection at the grocery store. Salmonella bacteria live in the intestines of people and animals. The bacteria leave the system through feces. Salmonella infection (or salmonellosis) usually spreads through contaminated water or food. For example, you can get it from undercooked meat that has trace amounts of feces on it. Most people have no symptoms during a salmonella infection. When there are symptoms, they can include diarrhea, abdominal cramps, nausea, vomiting, fever, chills, headache, and blood in the stool. Healthy people tend to recover from the infection in a few days with no need for treatment. But in some cases, the diarrhea can be so dehydrating that you need medical attention. How does USDA evaluate chicken producers? 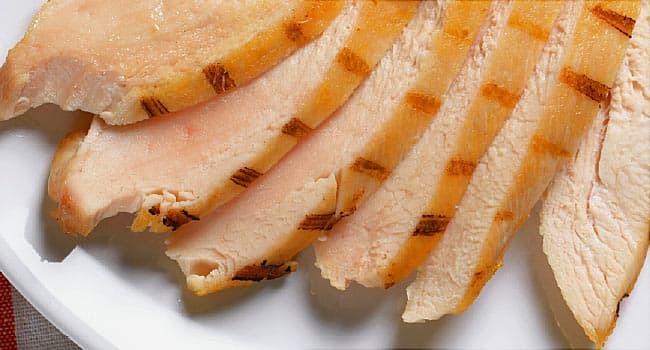 The USDA sets maximum limits for salmonella in meat and poultry produced in the U.S. Its Food Safety and Inspection Service (FSIS) tests raw poultry samples from manufacturing plants for salmonella weekly. The FSIS ranks each facility based on salmonella testing results across a 52-week moving window. Each week, as new samples are tested, older results shift out of the ranking. Joe Forsthoffer, a spokesman for Perdue Farms, says the USDA’s rating system makes it difficult to shake a bad report or for good reports to improve an overall score. “It takes a considerable amount of time for progress to be reflected in the category rankings. They don’t necessarily reflect current salmonella levels,” he said. The rankings published last week were based on chicken parts producers’ performance during the 52-week window from October 2017 to October 2018. Category 1 facilities did not have more than 50% of the maximum allowable salmonella during that window. Category 2 facilities didn’t violate the maximum allowed salmonella, but were above the 50% mark. Category 3 facilities exceeded the maximum level. Category rankings are published on the FSIS’s website. “Public posting of performance encourages establishments to make changes to address salmonella. It is in any establishment’s interest to ensure that it meets or exceeds the pathogen reduction performance standards,” says an FSIS spokesperson. The FSIS notifies facilities when they do not meet performance standards, evaluates the facilities’ safety plans and strategies to correct the problem, and decides whether further action is necessary. “We are continuously monitoring our food safety efforts to achieve the best possible results. We have an extensive [food safety program] specifically targeting pathogen reduction, including salmonella, with multiple interventions from live production throughout processing. We closely monitor our own system for change and react accordingly to mitigate increases in salmonella prevalence,” says Perdue’s Forsthoffer. Producers of whole chickens and turkeys and pulled or ground meats are ranked separately. Tyson did not fare as well in some of its whole chicken facilities, two of which were ranked category 3. Double-bag raw meat at the grocery store, and throw away the bag afterward. Do not place food on wet spots on the grocery store checkout conveyor belt. Store raw meat, poultry, and seafood away from other foods in your refrigerator. Do not allow water to splatter on kitchen counters when cleaning raw meat. Use separate cutting boards for meat and produce or, at the least, cut produce first. Wash your hands after handling raw poultry, meat, and pet food to avoid contaminating other foods, spice containers, or kitchen surfaces. Cook meat and poultry thoroughly. Cooking kills salmonella. Never place cooked food on an unwashed plate that previously held raw meat. Sarah Sorscher, deputy director of regulatory affairs, Center for Science in the Public Interest.